Professor Harrington Rothchild has done it again! He’s built a steam powered time machine, and has been showing it off to all his colleagues and friends. Unfortunately, he’s been much too careless during these demonstrations, and time itself has been thrown into chaos! It is up to you to get into his time machine and correct the time vortex, otherwise everything will soon disappear from this reality: past, present, and future! And watch out for the Kraken! Cryptic Quest has a spacious and very welcoming lobby, which houses some interesting puzzles to play with, though I enjoyed the clear rotational safe that you could unlock by watching how the tumblers interacted the most! It was a fun way to pass the time while waiting for our room to begin. A separate briefing room was provided, and once the somewhat over long rules and safety video had completed, we were led to the time machine! The set is nicely decorated, and the main dashboard is highly tactile, providing several fun interactions to fiddle with during the game. Though the room itself has a very home made feel, care has been taken to put together a detailed and eye catching environment. The room is smaller, but opens up in ways that work with the provided space well, and hosts a bevy of puzzles. One of the best innovations I saw during our game was that next to the timer, a percentage was displayed, showing you how far you’ve come. We really enjoyed knowing this, as it helped inform when we should ask for hints, as well as when we had triggered a solution correctly. This would be a major boon for new players as well who aren’t as versed in gauging how much of a room is left to complete. Game flow is slightly non-linear, and the two of us were able to find something to work on at most points within the room. A simple escape room staple was iterated on in an interesting way, keeping the interaction fresh while adding a challenge. Some basic printed logic puzzles were included, and though they contributed to some interesting interactions within the room, it felt too much like something you’d find in a puzzle book. One of the most interesting props was part of a puzzle that had a few strange logical leaps, and the answer felt incongruous with the original logic. That prop also lost it’s luster when we realized how much physical work was involved with interacting with it. A few parts of the game flow, while novel, can feel somewhat cheap at times due to the hand made nature of the game, which could turn experienced players off to the room. As the game progresses, you’ll find a lot of unnecessary items, and while they are all on theme, the room gets messy real quick. The puzzling flow works fairly well, but is quite standard overall, leading to very few ah ha moments for experienced players. Time Warp is a serviceable room that will appeal to beginners more than enthusiasts, though there are several fun additions that we did enjoy seeing within the time machine! I’d recommend giving it a shot if you’re new to the hobby, though if you’re an enthusiast, it may not appeal. 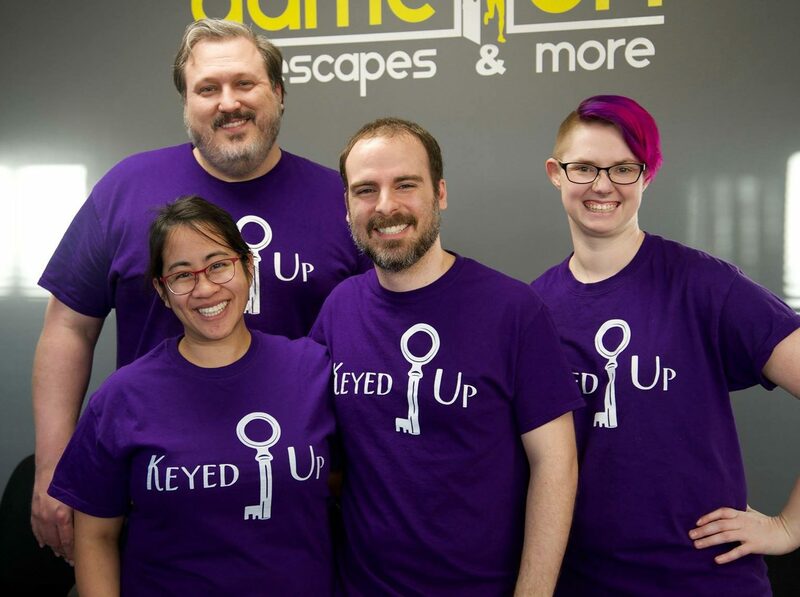 There’s definitely a lot of good ideas within the room, though, so I look forward to seeing Cryptic Quest evolve as they iterate and introduce new rooms! You can book your wibbly wobbly timey wimey adventure here! Full Disclosure: Cryptic Quest provided Media Discounted tickets for our team.